Just print the Flower card out. 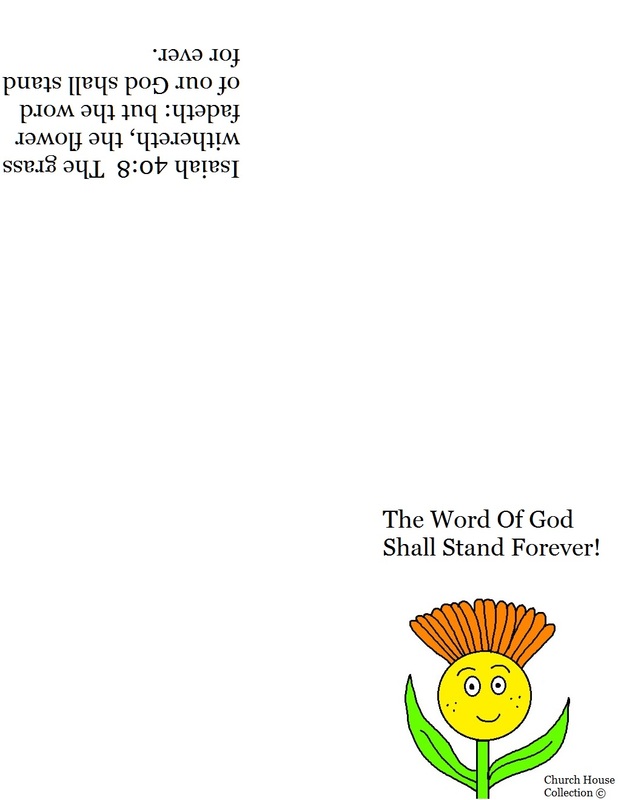 Have the child fold in half and then fold it in half again to make this card. 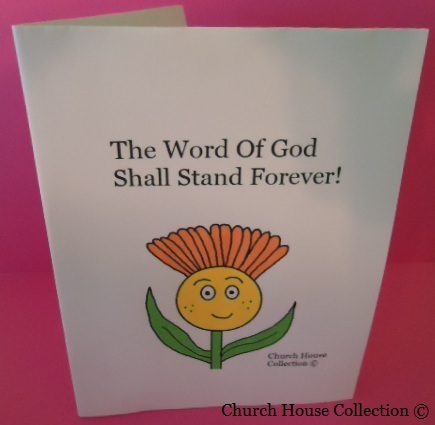 It has a flower on the front with the words, "The Word of God Shall Stand Forever! 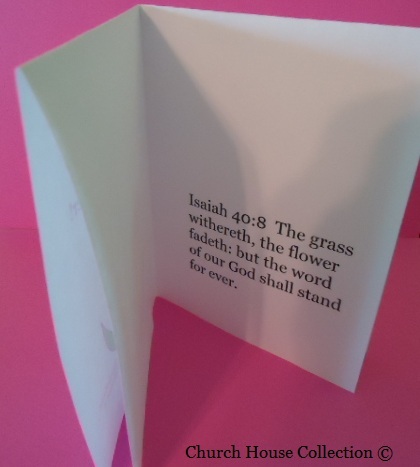 On the inside of the card it say Isaiah 40:8- The grass withereth, the flower fadeth: but the word of our God shall stand forever.